Drummond North sisters Rhiannon, 12, Zoe, 10, and Sasha, 7, have been preparing for months for the cattle competition at November’s Kyneton Show. It will be the first time all three Hohnberg girls are old enough to enter the Junior Handler competition. 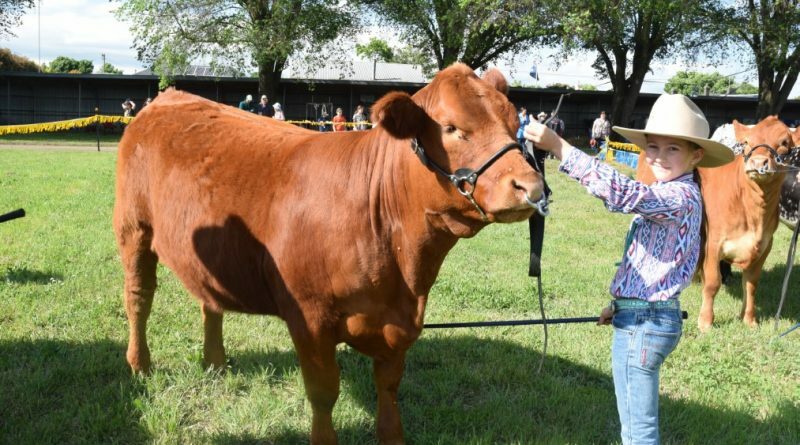 Hannah says it can take 100 days to get cattle show-ready, to break them in, train them to walk and stand in the ring, get used to the crowds and the attention. She said the girls help with feeding, bringing them in from the paddock and doing “the hair work”. “We wash them and blow them dry and brush them and put hair products in them. “The kids look after the cows more than themselves,” Hannah laughed. Cattle steward Henry Dunn said the entrants were all in the ring at the same time and were judged on how they presented and managed their animal. “It teaches them respect for the animal, awareness of everything around them and lots of patience,” Hannah added. 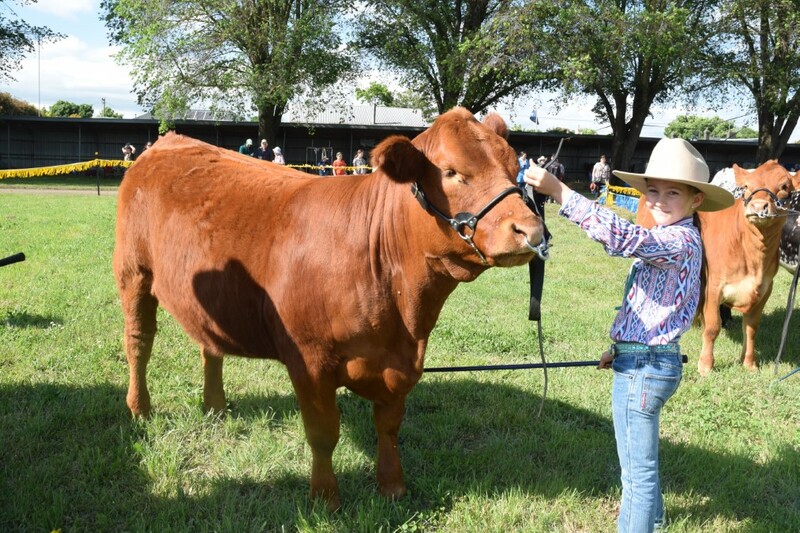 Entry in the Junior Handler competition is free and first and second place getters in the 15 to under 25 age group win through to the State Final. 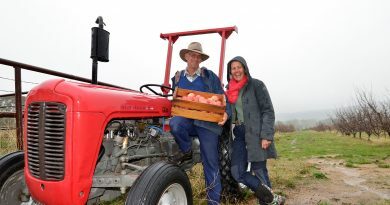 The winner will be awarded a special prize in memory of John Hince who first showed cattle at Kyneton in 1994. Jenny Hince said her husband would have been thrilled to have his name associated with the junior handler competition. “He would have been tickled pink. He loved the show. Cattle entries close Monday November 12. www.kynetonshow.org.au/animals See all the cattle action until lunchtime on Show Day, Saturday November 17. 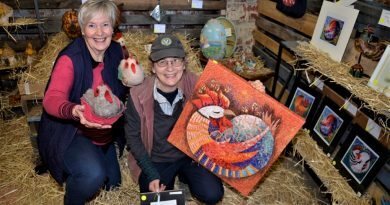 Friends of Lolotoe secretary/treasurer Chris Sertori and The Drying Shed's Linda Newton with examples of the artworks in Manu Feto Chicken Art Show. Castlemaine's Jo Christy (centre rear) - and some of the participants in her weekly Quad Fit class at Castlemaine's Wesley Hill War Memorial Stadium.